Well folks, with record breaking temperatures and the longest day of the year hitting this week, it is safe to say summer has finally arrived! Everyone loves spending time outside enjoying the weather and soaking up the sun, but are you aware of the nutritional risks of the heat– and more importantly how to overcome them? 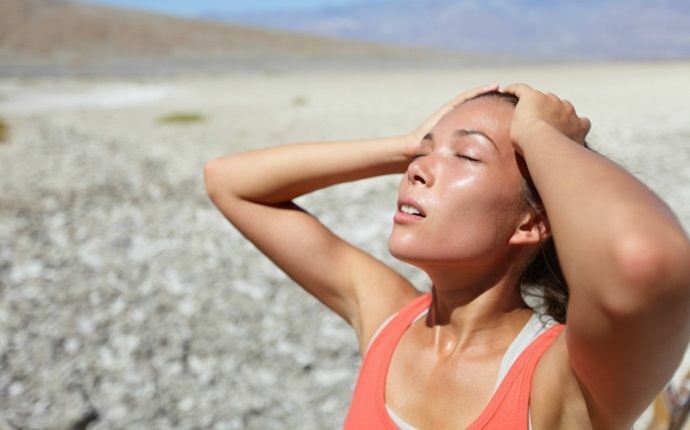 The heat puts extra stress on your body, forcing it to work harder to cool you down. The body loses water through sweating to cool you down; therefore, maintaining proper hydration is essential. As a rule of thumb, you should be drinking half of your body weight in fluid ounces every day (Tip: there are 8 ounces in one cup), plus at least a cup of water for every 30 minutes during exercise. If you find drinking this amount of water difficult (I sure do), try adding some fresh lemon or lime slices, cucumber slices, or maybe a sprig of mint leaf to give it a little more flavor! Speaking of exercise, vital electrolytes are lost through sweat. It is important to replenish these electrolytes any time after a sweat session. My go-to after a workout is Rehydrate, made by Advocare, and sold right here at Horizon! Properly hydrating the body and replenishing those electrolytes will help prevent nausea, headaches, muscle cramps, and any more complicated consequences of dehydration. Another way to boost hydration is to include an abundance of fruits and vegetables in your diet. Watermelon, for example, is about 92% water, and cucumbers are about 96% water! Including these foods as healthy snacks will help keep your body hydrated; however, do not use this to replace drinking water! Instead, do it as an addition to your regimen. We have all had days where we’ve spent too much time in the sun, and forgot about the sunblock! But did you know that good nutrition and eating the right foods can actually protect your skin from the sun’s harmful rays and repair sun damage? Vitamin C is an antioxidant that is known to protect and treat UV damage from the sun, as well as repair body tissue. It assists in the making of collagen– the most abundant protein in our bodies– which gives the skin elasticity and strength. Most people associate Vitamin C with citrus fruits like oranges, but did you know kiwis have approximately double the amount of Vitamin C as an orange? Fun fact- it is SAFE to eat the skin of the kiwi and triples the fiber intake, compared to eating just the flesh! Lycopene, another skin protecting antioxidant, can be found in tomatoes, which is a perfect fruit (technically a fruit) to pick up at your local market. Vitamin E is another strong antioxidant. Try a quarter cup of almonds, an excellent source of Vitamin E, which further aids the skin in repair from heat damage! Omega-3 fatty acids have anti-inflammatory properties and work to fight free-radical damage to the cells in our bodies. Let’s talk about salmon. Salmon is full of these amazing omega-3 fatty acids that fight inflammation and free-radical damage associated with sunburn! If you don’t like fish, consider adding Flax or walnuts to your diet, or try a fish oil supplement such as the Omega-Plex sold at Horizon! Omega-3s are also extremely important for cognitive help, and can help improve your sleeping patterns as you adjust to your summer schedules. Protect your bodies from the inside out this summer with these helpful nutrition tips. Above all, stay active, stay healthy and stay cool this summer! If interested in any of the supplements listed above, mention this blog posting, and receive 10% off your order. Emily began working for Horizon after graduating in May of 2018 from the University of Rhode Island with a degree in Nutrition and Dietetics. She is incredibly passionate about fitness and wellness and sharing this enthusiasm with others! She loves getting people excited and pushing them through challenging workouts, reaching places they never thought they could. Emily’s greatest pastime and joy in life is running! 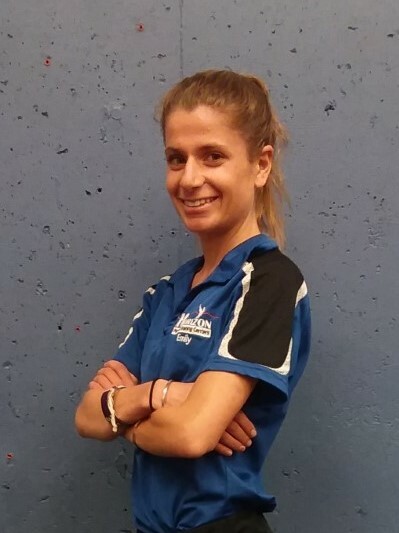 She dedicates most of her free time to training for marathons and other races, and her approach to personal training is an extremely beneficial way to increase endurance and strength for any athlete. She also has experience teaching therapeutic exercise, for those seeking pain relief, greater flexibility and increased range of motion. Emily’s strong nutrition background helps to ensure that clients are fueling their bodies properly and optimizing results in order to reach their goals. She thoroughly enjoys working with all types of people and age groups, and building connections with clients to get to know each of them on a personal level. Get ready to be pushed, work hard, and have some fun!! No Comments to "Beat the Heat with these Summer Nutrition Tips"